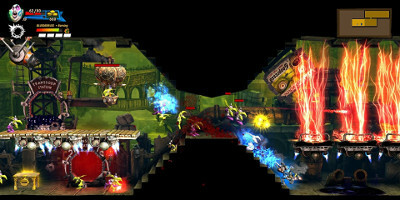 Rogue Stormers is the second title of Black Forest Games, the team behind Giana Sisters: Twisted Dreams. It combines classic run 'n' gun gameplay with a modern art style, twin stick shooter configuration and all the good things a roguelike has to offer. Every playthrough feels different with randomly compiled level chunks and tons of different perks and weapons. Fast-paced twin stick action. 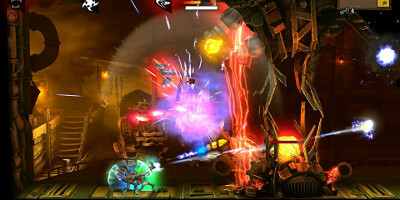 Rogue Stormers is all about fast-paced twin stick shooter action. 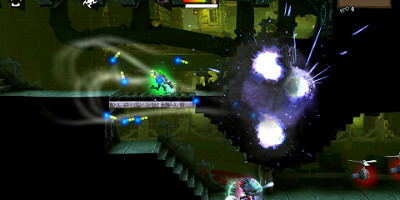 The player has to dash, shoot and blast their way through hordes of enemies to save Ravensdale. They can go at it alone or recruit the help of their friends in local- or online multiplayer.